Picture a Day - The Holy Land Revealed: A Picture a Day: A Mystery Picture -- Where Are These People Going? A Picture a Day: A Mystery Picture -- Where Are These People Going? 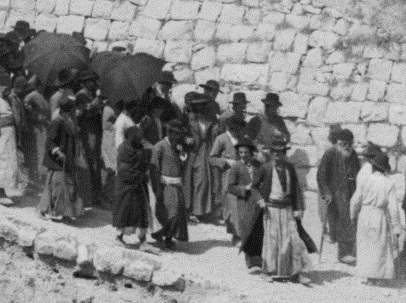 "A Jewish procession to Absalom's Pillar" is the caption on the Library of Congress' photo, dated sometime between 1898 and 1946. That's a huge window of time. 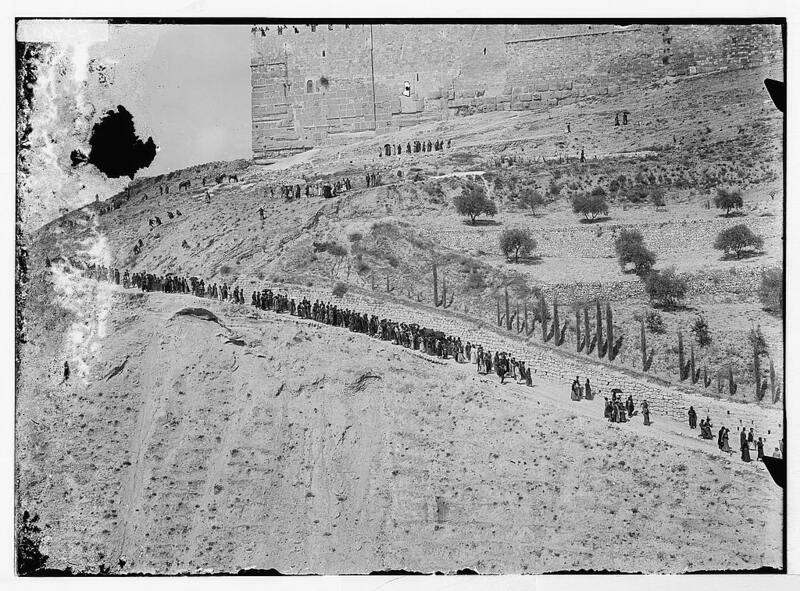 The procession is walking down a ramp from the southeast corner of the Old City wall into the Kidron Valley. Presumably the hundreds of Jews came out of the Old City through the Dung Gate or the Zion Gate. Also fortuitous was discovering another picture elsewhere in the collection entitled "Various types, etc. Jewish funeral." 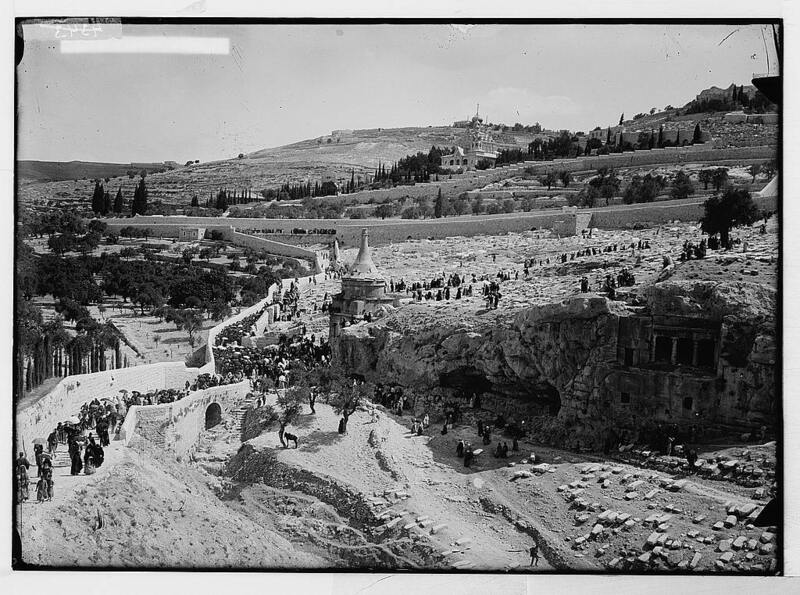 It shows a funeral party at the bottom of the Kidron Valley moving up the Mount of Olives. It may very well be the "flip side" of the same procession, with two photographers on either side of the valley. The shadows suggest that the time of day -- morning, with the sun shining in the east -- was nearly the same. The second picture, however, does include women walking up the ramp from the Valley. And yes, the women are Jewish. 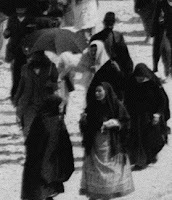 Despite the dark scarves on their heads, they are neither nuns nor Muslims.